We love stories - it's a part of our nature. And we like stories with happy endings. A few nights ago, my wife and I watched the series finale of House. It's amazing to realize just how angry my wife, and so many other viewers would have been if the show did not conclude with a happy ending. Myself, I'm the type to enjoy a realistic ending that might have a bit of dreary, realistic humanity attached to it. To give you an idea where my tastes are, I thought the ending of Revolutionary Road was perfect. In the same way, Christians love conversion stories. We love to hear about how God took a sinner and changed his heart and drew that person to Himself. What's not to love about it? You have what once was dead brought to life. It's beautiful, it glorifies God, and it's Biblical, to boot! The Apostle Paul spoke frequently of his own past (1 Tim. 1:13; 1 Cor. 15:9; Gal. 1:13). But how often do we reflect that our own story becomes shockingly unsexy once the dust has actually settled? I'm not saying there is not a happy ending for the saints of God, but for some it is often very long in the making. After coming to Seminary, I made friends with a great guy who has an extraordinary conversion story (or so I'm told). My wife and I had him over for dinner one night and after some time he looked at me and said that if I was okay with it he'd rather not tell his conversion story. He explained that he had told it to so many people and that he didn't think it was good for himself or those he told it to. He'd become so saturated by his own story that those he told didn't look at him as a saint of God. They saw him as a notorious sinner first, and perhaps as a redeemed saint a distant second. And this is at a Reformed seminary where the grace of God is proclaimed weekly from the chapel pulpit and in every class. People weren't ready for the reality of this guy's old life. Protestants, generally speaking, have a problem with the grit and the dirt and the messy reality of life. I hear all sorts of theories of why that is, but at the end of the day I think we really enjoy the world as it will be, and we want to escape from the world as it actually exists in the here and now. This sentiment may have something to do with the co-emergence of premillenial dispensationalism in the 19th century alongside of an entertainment-saturated culture of unprecedented proportions. 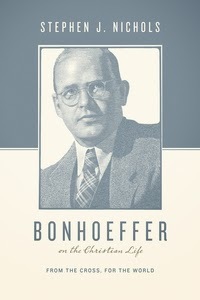 If you compare the sort of fiction books produced in protestant religious circles with those coming out of catholic or even humanistic ones, what one finds is a protestantism preoccupied with seeing the good in life and seeing the good that will eventually come out of life and a perspective on the other side that is either completely diversionary or else hyper-gritty in terms of the realistic approach to portraying life. One need only compare The Lord of the Rings with the Song of Ice and Fire books that are written by George R.R. Martin (an agnostic). Protestants like The Lord of the Rings for lots of reasons relating to the high quality of the books, to be sure, but also, I think, because they are filled with people who are well-intended and who want to see good defeat evil. The Song of Ice and Fire books, on the other hand, are filled with what seems like irredeemably bad people, some (most?) of whom the reader is able to sympathize with in spite of it because of the dirt between their toes and the hunger in their bellies. Tolkien's enemies are faceless minions without names and without souls. With a couple of exceptions (one thinks of Smeagol or Denethor) the evil in LORT is kept at a safe distance while the SOIF books force the reader into the minds of the sorts of people we like to think that we are not. Why is it that we as Christians have such a problem with facing the harsher or dirtier side of reality (or if we do, we dare not tell others)? Isn't it time that we gave ourselves permission to admit that all is not roses and butterflies followed by rapturous moments of delight? Christians are leaving the church. This is no secret. I live in my own little corner of the evangelical world where I am a conservative Westminster Standard-loving Reformed Christian whose (almost) entire base of friends "back home" are the emergent sorts who think Rachel Held Evans really "gets" them. Almost all of them at one time or another express either publicly or privately in conversations with me, just how unhappy they are with the church. But why? What is happening that is causing such frustration or disappointment? I suspect it's nothing more than the average boring stuff of life, the sin and frustrations involved in living in community with other people who have yet to experience the complete renewal of their persons. When you go to church on a Sunday morning, you enter this room with other people in it. You often know what their shortcomings are. Or you notice that they sing off-key. Or you maybe heard the song-leader yelling at his son in the parking lot a few minutes before the service. Or maybe you saw an elder's eye wander someplace that it shouldn't during greeting time. Maybe you went into the bathroom before the service and you saw the pastor leave without washing his hands first. Maybe you went to get coffee but the creamer was all out... the sunday school teacher took the last of it. These are the sorts of raw, boring "little things" that, taken on their own are nothing, but collectively, when we think about it later, can shatter our illusions that the church is a sort of utopia. The imperfections and flaws of our neighbors and churches become apparent over time. The seams start to show. Or maybe your problems are bigger. Maybe you think the church isn't "getting it right" on some social issue or maybe you think the church should talk about this or that a little bit less. Everybody sees things that those around them just aren't "getting right," whether it's at work, at a family reunion, or even at church. The band Metric has a song called "Breathing Underwater," where the lead singer Emily Haines says, "They were right when they said/ We should never meet our heroes." It's a glimpse inside the mind of a person who wants to live in the "wish dream." I'm not immune to this desire to preserve the wish-dream. Earlier this year I was at The Gospel Coalition and I saw D.A. Carson and Tim Keller sitting in a pair of facing chairs in the hotel, talking. I chose not to go up to them or say anything. Why? Because I'd rather not meet two of my heroes. The conversation wouldn't go well, maybe I'd embarrass myself. Maybe they wouldn't be friendly. Maybe I was afraid of having an illusion shattered. I wish I had gone over to them, spoken to them and had the mystique dispelled just a bit. It would have been good for me. In the same way, it was told, Shelby Foote and Walker Percy once went to visit William Faulkner in Oxford, MS. When they got to his house Percy wouldn't leave the car. He didn't want to have his wish dream shattered by actually meeting the man. Someone needs to give Christians permission to live in the real world, not in the ideal wish-dream world that so many inhabit. 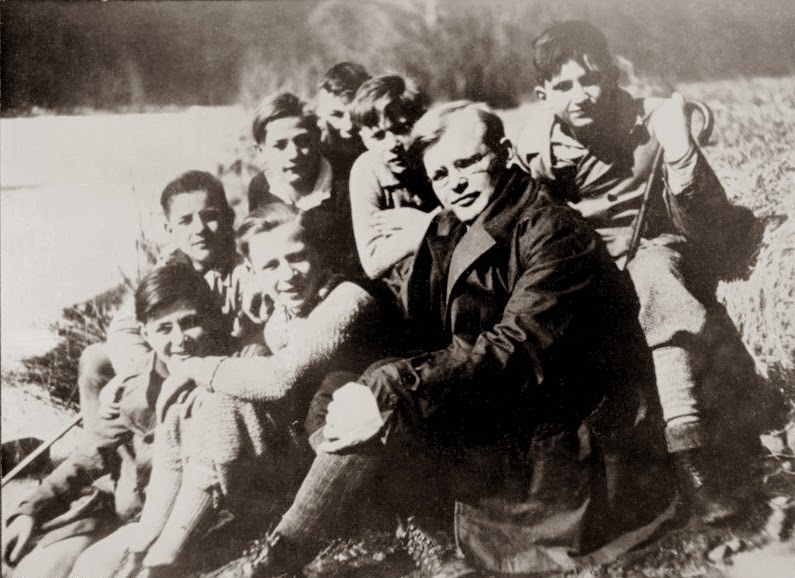 I think that Bonhoeffer's notion that the wish-dream has broken down whole Christian communities might actually lie at the core of why the church sees so many critics and defectors today. The church has a new world in which it does its work in some ways, sure. But human nature is still the same. We still have the same feet of clay that we've always had. We often preach a church triumphant, but that is not what people usually see or sense. Usually people see the little failures that make up the average Christian's life. The message of grace that comes out of our pulpits, out of our seminaries, and out of our family worship times needs to be one by which our audiences are able to make sense of the pains, difficulties, muck, frustrations and realities of life without losing their understanding that a church can be triumphant without always seeming like it is. Good words. This is slightly related, but it reminds me why one of my favorite books (and if I ever have a student of theology in my church I'll make them read) is D.A. Carson's biography of his dad's work in Montreal. Why Did God Forbid Blending Threads?